I just saw this post about artist Mark Hearld on Design Sponge. 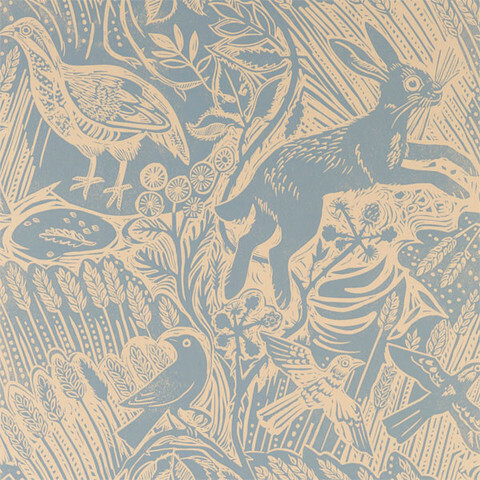 This wallpaper design originated from one of his linocuts. This is going to the top of my wallpaper wish list. i'm seriously considering doing a wall with this, just not sure which room. i want to use it too. it is so beautiful. But I can't think of a place that would be good. Maybe the kids bathroom? yeah, the colors would be perfect for our bedroom (just one wall), but i guess it's slightly childish. wish we had a kid bathroom.